Shouldn't in case you don't know about Ntel, it happens to be one of the network providers in Nigeria that offers 4G services and now they are trying their best to incorporate more advanced features like the VOLTE (4G voice calls) while other networks works to provide data services only. 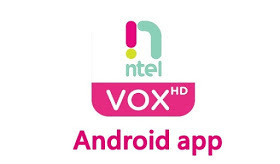 Ntel network launched their own very app called Ntel VOXHD app. 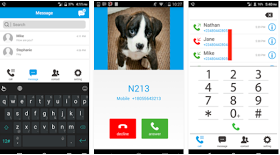 The app gives you an opportunity to make calls and also send text messages over its 4G/LTE network. Read Also: Internet APN Configuration Settings For Ntel 4G LTE Network. To have it, the latest Ntel app offers crystal clear High Definition (HD) Voice over LTE (VoLTE) services, SMS over LTE and more other regular features. The app works in hand with Android phones that supports Ntel 4G network band. And it is now available on Google playstore for download. So don't miss getting this app if you don't wanna miss the very goodies it came with. CAN I USE THE APP ON MY PHONE? Yes you can, but your phone has to be Android devices from version 4.0 and above. NB: The ntel VoXHD works on ntel SIM cards alone, that is to say, it cannot work on any other sim that is not ntel. Like I said earlier, your phone has to be compatible with nTel 4G LTE Network before you can use this app.